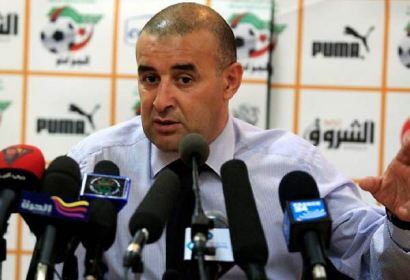 Algeria coach Abdelhak Benchikha resigned Sunday after a 4-0 drubbing by Morocco in a high-profile Africa Cup of Nations qualifier. Mehdi Benatia and Arsenal striker Marouane Chamakh scored during the first half in Marrakech and Youssouf Hadji and Oussama Assaidi struck within nine minutes after the break to complete an unexpectedly one-sided triumph. It was sweet revenge for Morocco under Belgian coach Eric Gerets after a 1-0 away loss to their North African neighbours in the qualifying competition three months ago. Benchikha, who previously coached clubs in his homeland, Qatar and Tunisia and the Algerian Olympic team, survived just three competitive matches after succeeding veteran Rabah Saadane last October. Saadane quit after a 1-1 home draw with Tanzania in the opening 2012 Cup of Nations qualifier and Benchikha made a disastrous debut as the ‘Desert Foxes’ crashed 2-0 away to football lightweights Central African Republic. The home win over Morocco offered hope that Algeria could mount a serious challenge for Group D honours, but the Marrakech mauling leaves them with little hope of reaching Gabon and Equatorial Guinea next year. Morocco have seven points and Central African Republic, Tanzania and Algeria four each with only the group winners guaranteed a place at the biennial 16-nation African football showcase. Gerets has vowed to win titles for Morocco, whose only Cup of Nations title came 35 years ago in Ethiopia when just eight teams competed and a mini-league format was used throughout the competition for the only time. “I won a lot of titles as a footballer and a coach and I want to win titles with the Moroccan team too,” the former Belgium international said after his appointment. He won league titles with Lierse and Club Bruges in Belgium, PSV Eindhoven in the Netherlands and Galatasaray in Turkey and also coached French outfit Marseille before moving to Saudi Arabian side Al-Hilal. Algeria are not the only 2010 World Cup qualifiers likely to miss out on the next Cup of Nations tournament with four-time champions Cameroon five points adrift of leaders Senegal after they drew 0-0 in Yaounde. Police used water cannons to disperse angry ‘Indomitable Lions’ supporters as they tried to prevent the team bus leaving the Amadou Ahidjo stadium after a match in which Samuel Eto’o fired a late penalty against the crossbar.